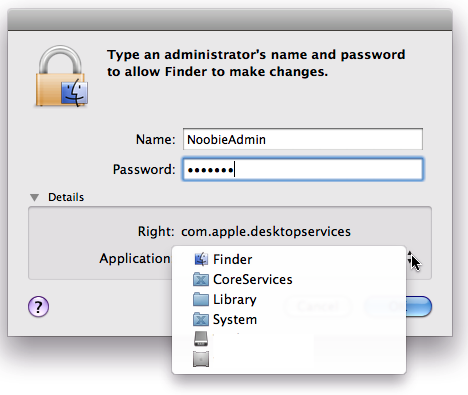 The very first thing you should always do on your new Mac is to make sure you run as non-admin. This protects you against most malware out on the net, since it makes it very difficult to install anything without you knowing about it. It doesn’t exclude it entirely, but it makes a major difference. You’ll see a checkbox to the right that says “Allow user to administer this computer”, but you can’t unselect this unless there is at least one other account that is set to “administer this computer”, so we need to create another account with that ability first. You’ll probably be asked to reboot at this point, at least if you were logged in as “Noobie Json” as in this example (which I wasn’t). 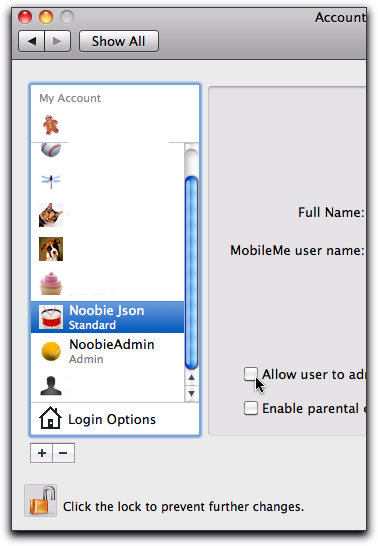 Once you start up again, log in as “Noobie Json” or whatever your account is called, not as “NoobieAdmin”. 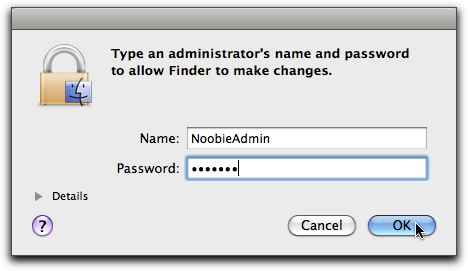 You should probably never log in as “NoobieAdmin”, ever. In this particular case, “Details” didn’t tell me much I didn’t already know, but when in doubt, in may often tell you exactly what you want to know. 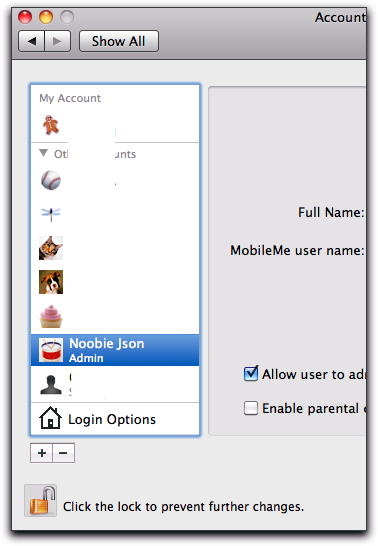 If some malware is requesting admin credentials, the app that issued the request will be clearly shown. 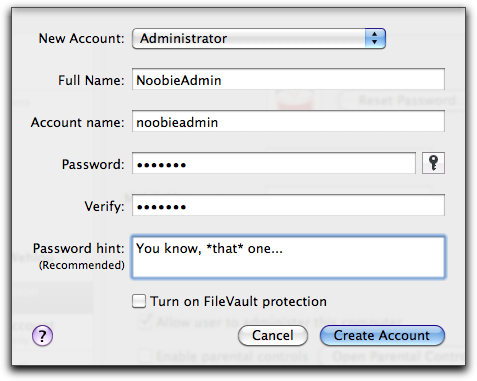 OSX very rarely asks for admin rights, so there is very little risk of you getting into a habit of just entering your credentials without thinking. Yes, the first day you use your new Mac, you will do this a number of times until it is all set up, but after that, it becomes a rarity. 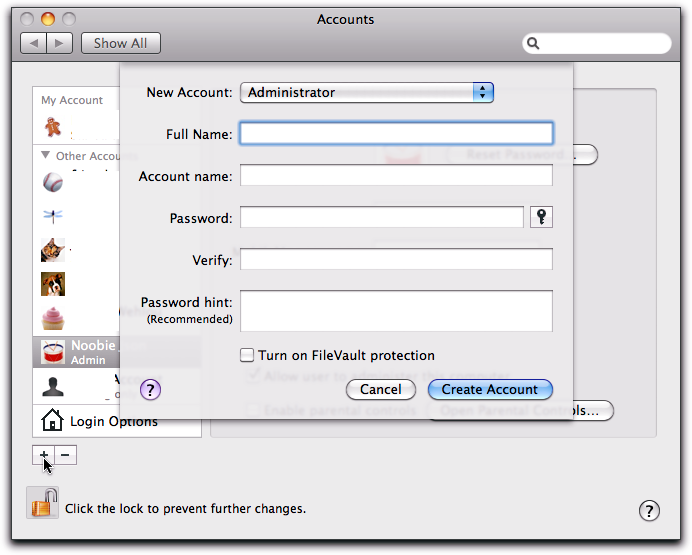 I am running my Mac as an admin and also always get the checkbox to enter my password, to confirm Installations and such. I do not see a major difference here. Running an actual installation package makes the system ask for your password, that’s true. The big difference is while running the program as such. 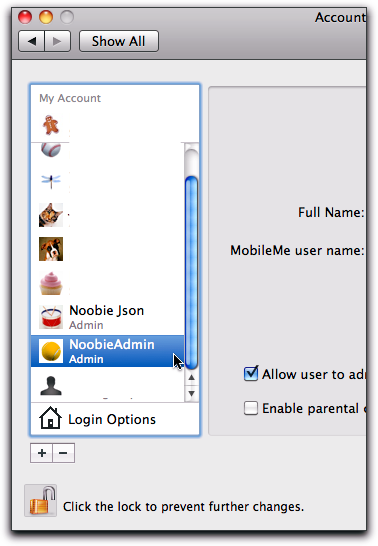 If you are running as admin, the program can write in places admins can write without making the system ask you for permission, which can’t happen if you are not running as admin. The same would be true for an exploit in a browser, for instance. 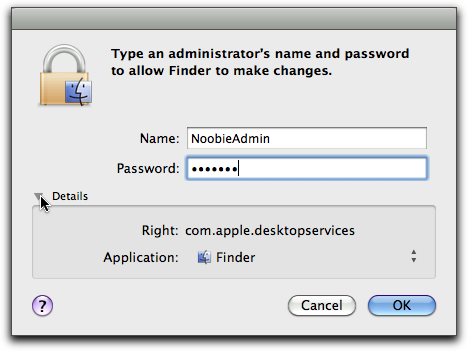 The only exploit on a Mac with any significance, the Leap-A, can only work if you’re running as admin. And even then, it’s admittedly not very impressive, but it does show the importance of running as non-admin. Today it’s not very dangerous, but as soon as any kind of malware appears, it will make a lot of difference. 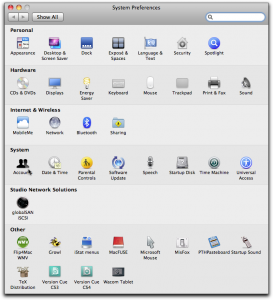 I think the ability to run as non-admin without any problem on a Mac is the major difference with Windows, and the one thing that will keep the Mac platform relatively safe. It’s very, very hard to run as non-admin on Windows, which is ,in my opinion, their major problem. Little Snitch is a great tool, but it will only show you malware if that malware connects out to a server, and that it does it in a way you notice as clearly abnormal. 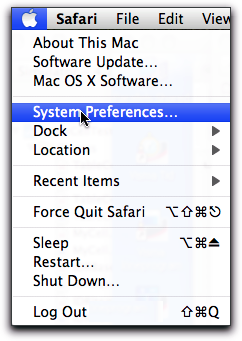 That’s the only thing Little Snitch does, but it does it very well (I also use it). In other words, Little Snitch is not a firewall, it stops nothing coming in and it does not stop malware from installing or running. Lastly, if you run as admin, it would theoretically (maybe even practically) be possible for malware to change the settings of the system, including Little Snitch, without you noticing. Not if you run as non-admin. 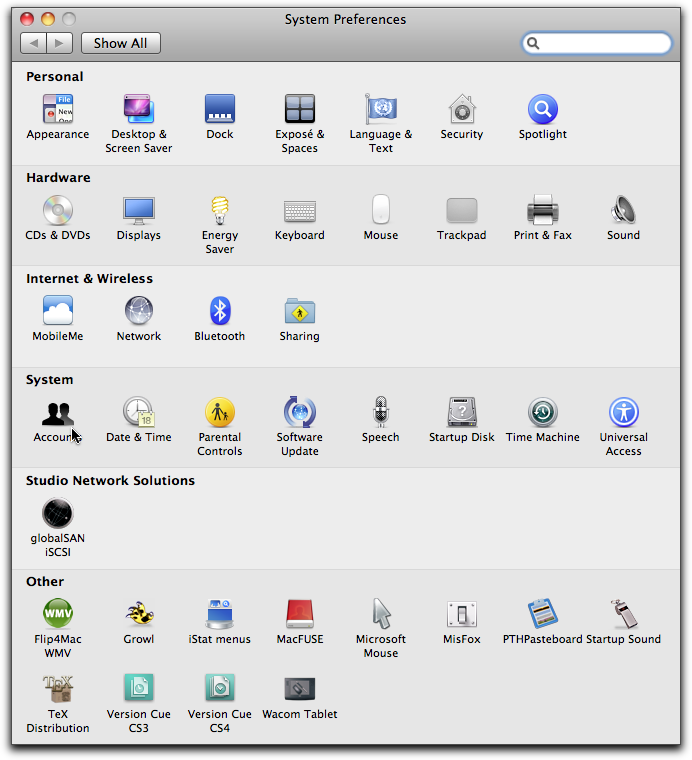 An afterthought: the only example I can think of is Leap-A which spreads through iChat. 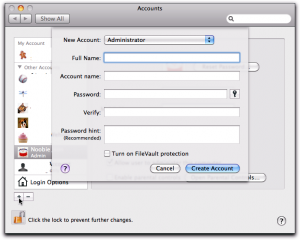 I think it makes iChat send files (not sure) and if that is the way is spreads, Little Snitch won’t say anything since you’ve already approved iChat for connections (which you have, else you wouldn’t have gotten infected with Leap-A in the first place.) I may be wrong about Leap-A, but the principle holds, so any malware spreading the way I imagine Leap-A would spread, would not trigger anything unusual in Little Snitch.